View Strategic Defense Initiative and over 3,000,000 other topics on Qwiki. 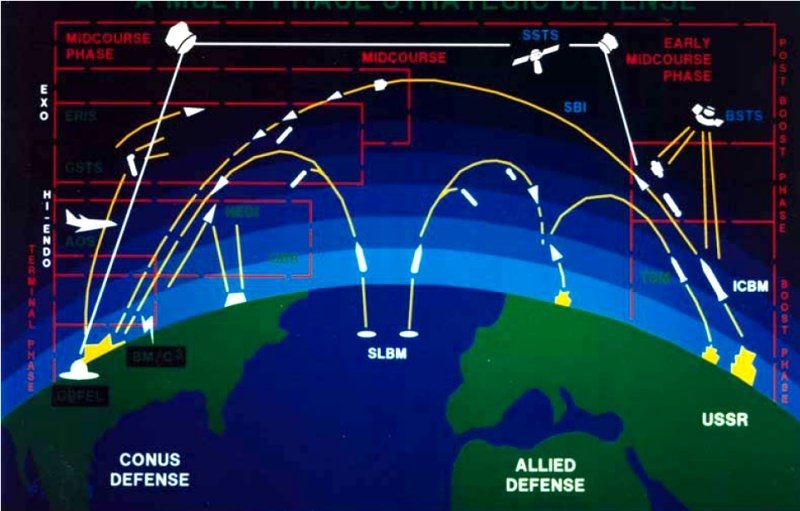 Ronald Reagan wanted a defensive umbrella over the US in space to shoot down incoming missiles (like in Star Wars). Soviets couldn't afford to keep up with this kind of science because of their poor economy. Reagan's idea seemed crazy but turned out to be brilliant, because the Soviets felt they needed to make as much progress as the US, but they didn't have enough money to.